Service Center, Technicians and Billing … ! 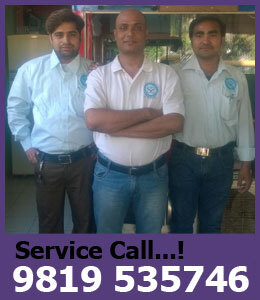 Repairingwala.com offers efficient customer services through its proficient technicians and engineers. If there is any problem in our services or parts replaced thereof, the only thing customers have to do is produce the bill or invoices and they will get it replaced or repaired, according to the need. All service work carried out by Repairingwala.com is supported by three months warranty. Furthermore, all genuine parts used are covered by an approved parts warranty. Repairingwala.com believes strongly in transparency when it comes to invoicing any work done on your appliances. There will be no hidden costs or unwanted surprises on your bill at the end of any work. And if you are still unsure about any item on your bill, our service centre are more than happy to help with your complaint or queries. Many times, technicians or engineers uses unfair practice and ask the customer to service or repair their appliances without issuing any bills or invoices for the services or parts replaced by them. This approach may encourage short-cuts and dishonesty because the technician get benefit directly and the customer gets cheated with unofficial services and fake parts. Repairingwala.com, caution their customers not to get confused with such technicians or engineers and always insist on bills or invoice from the authorized service center. Repairingwala.com regularly gather the opinions of our service technicians and engineers. The feedback you give, is used, not only improve our services, but also enhance the amenities and facilities on offer. Repairingwala.com also calls back the customers to check the satisfaction levels of repairs done. Complaints and feedback - tell us what you think ... !